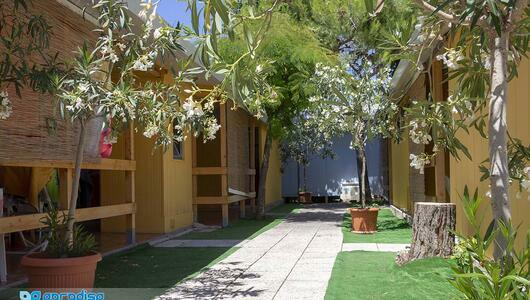 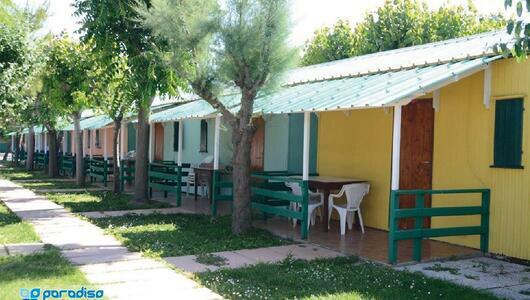 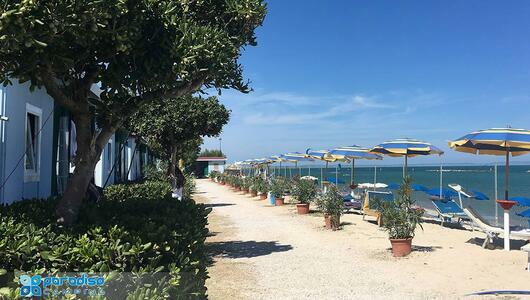 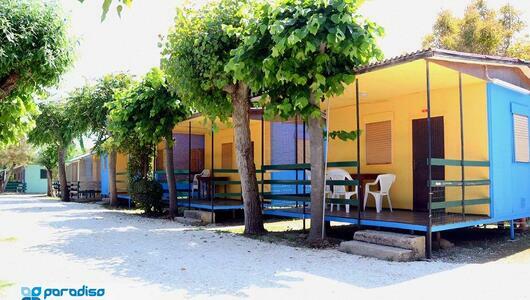 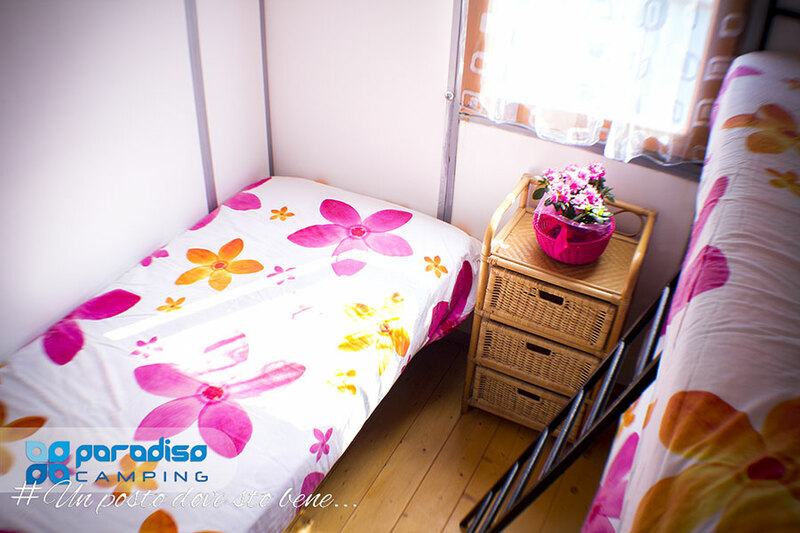 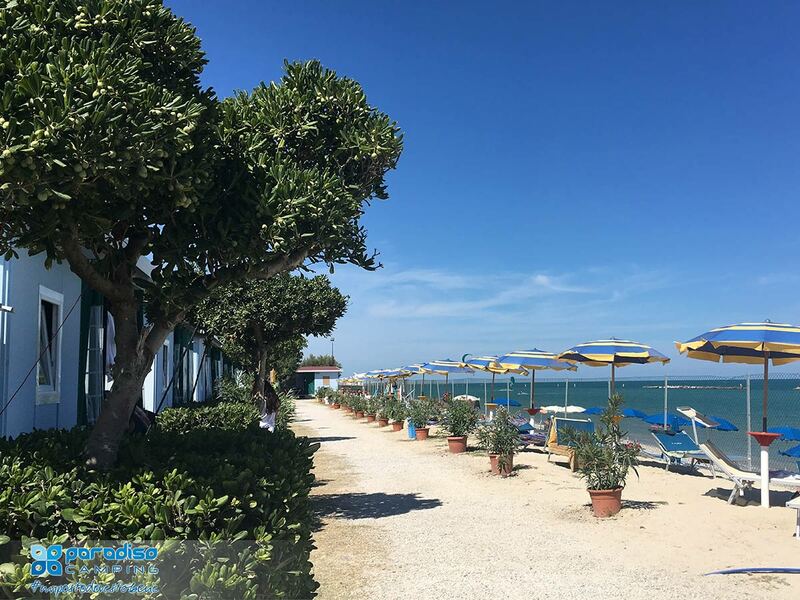 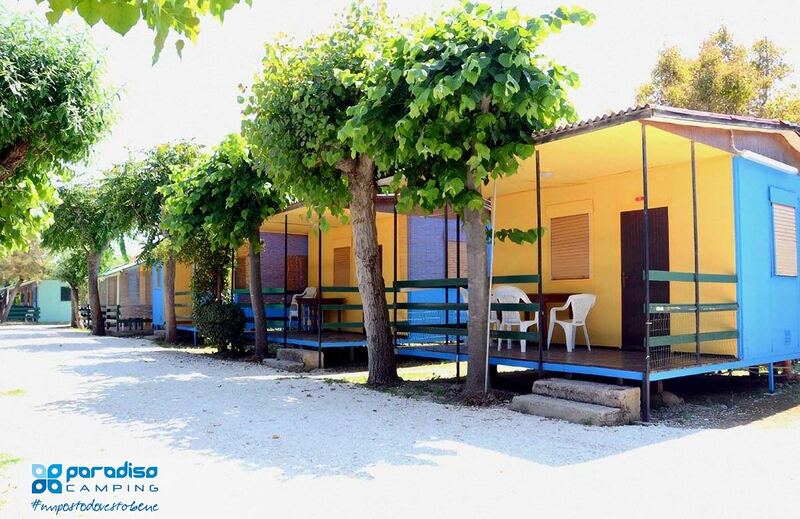 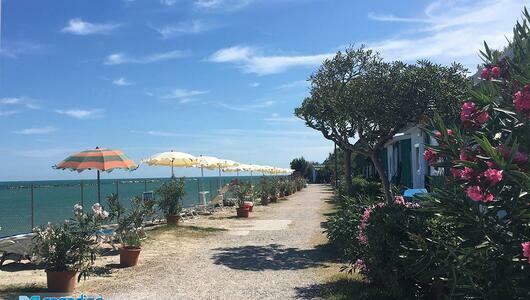 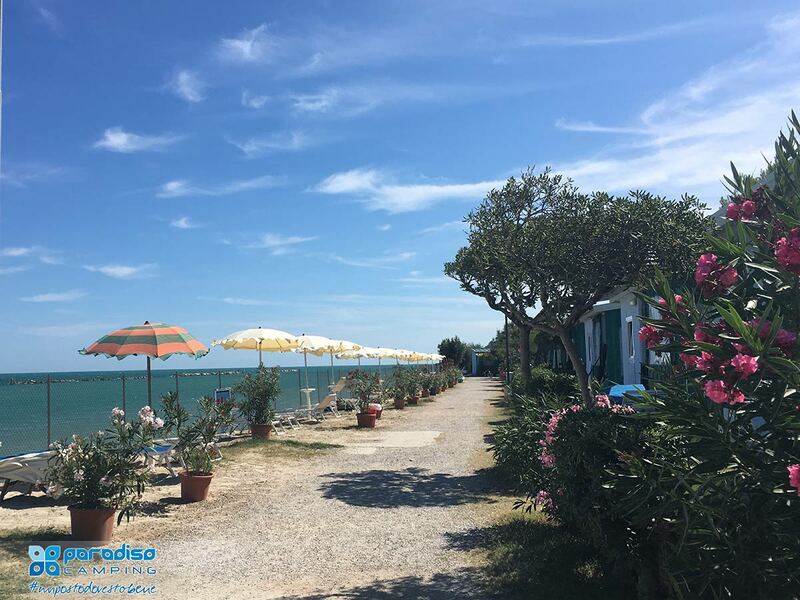 Camping Paradiso is the perfect mix between nature and relaxation, the place where the magic of a holiday at the seaside mingles with the comfort of our accommodation. 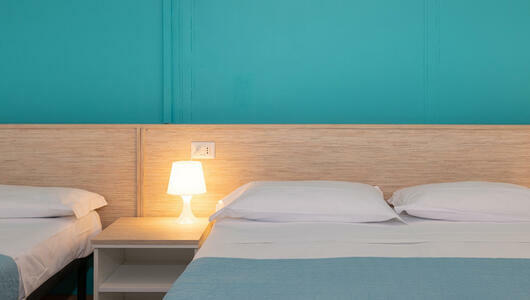 Discover with us and in detail all the possibilities of stay and the best solution for your family! 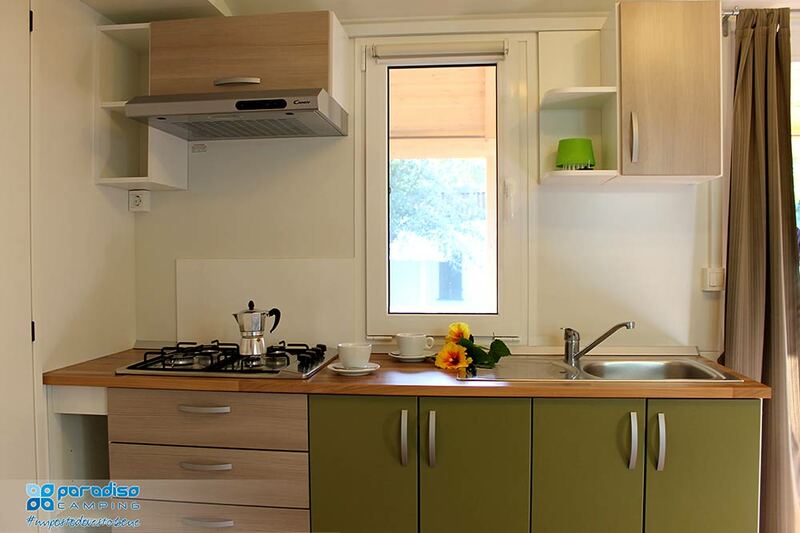 The Studio Bungalow Type A is a single room where you can find a double bed and a bunk bed, kitchenette, toilets with shower (total 13sqm). 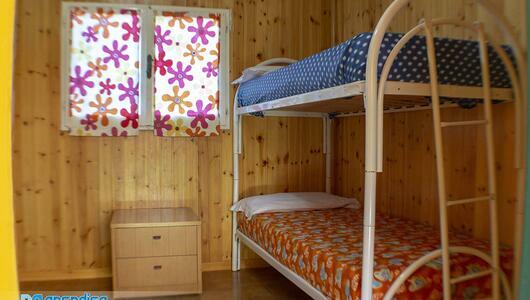 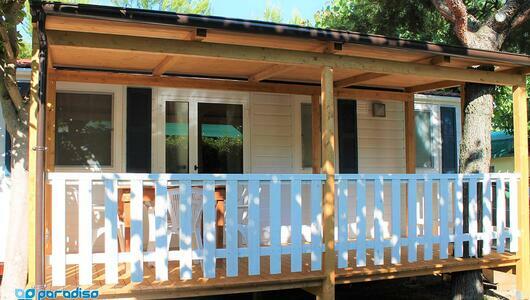 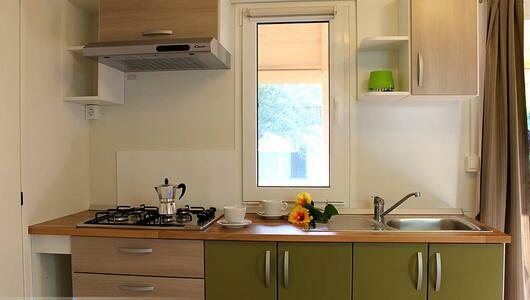 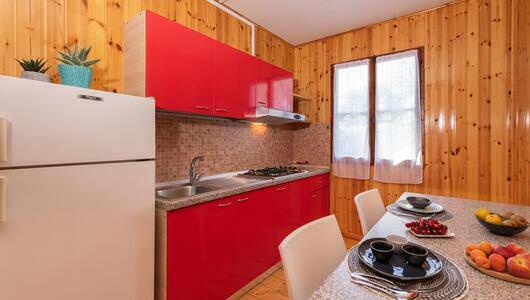 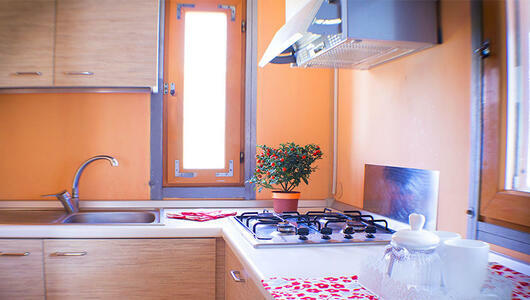 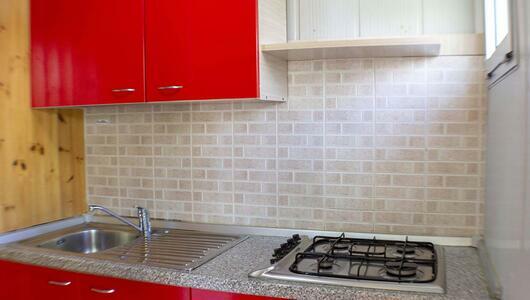 It is equipped with a wide outdoor veranda with table and chairs. 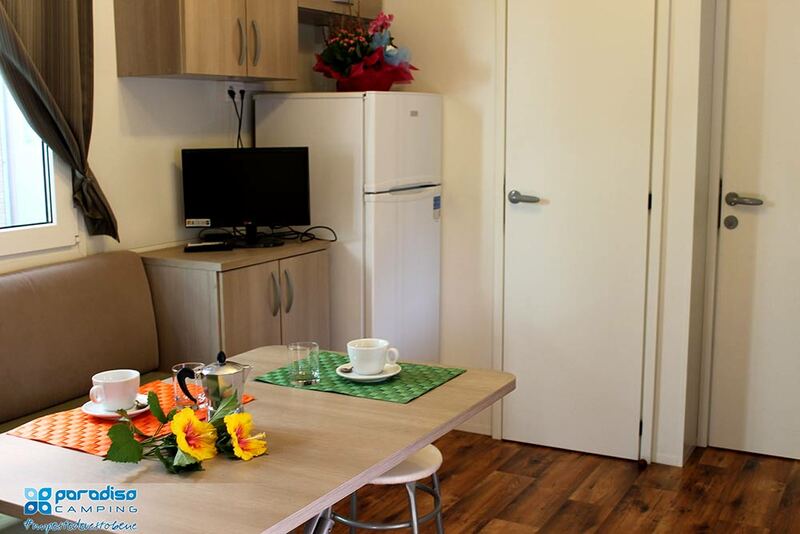 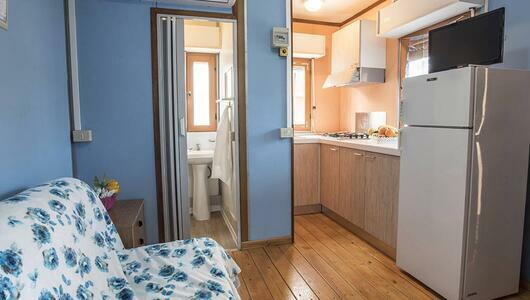 The Studio Bungalow Type A* more spacious (total 16sqm) is equipped with a double bed and a bunk bed, kitchenette, toilets with shower box, large outdoor veranda without access steps. 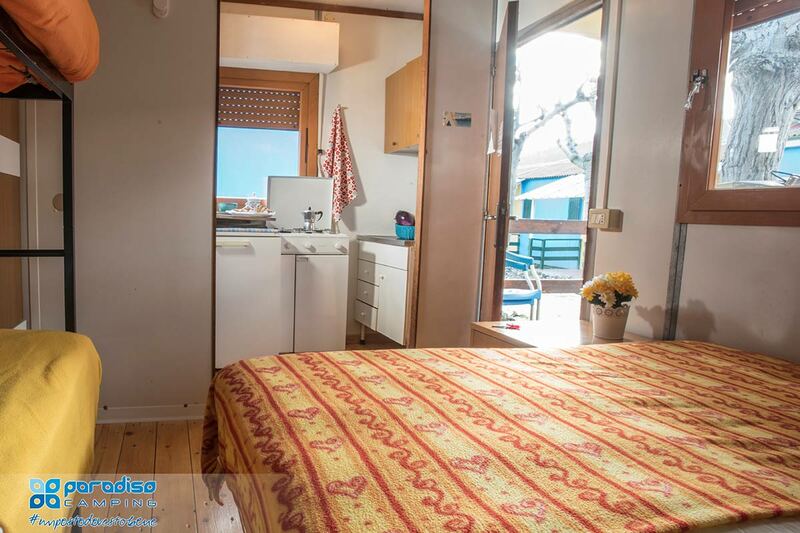 The Two-roomed Bungalow Type B is composed of a double bedroom, a living room with a bunk bed and a kitchenette (in some solutions the kitchenette is separate with access from the veranda and the possibility of air conditioning) bathroom with shower (total 20sqm). 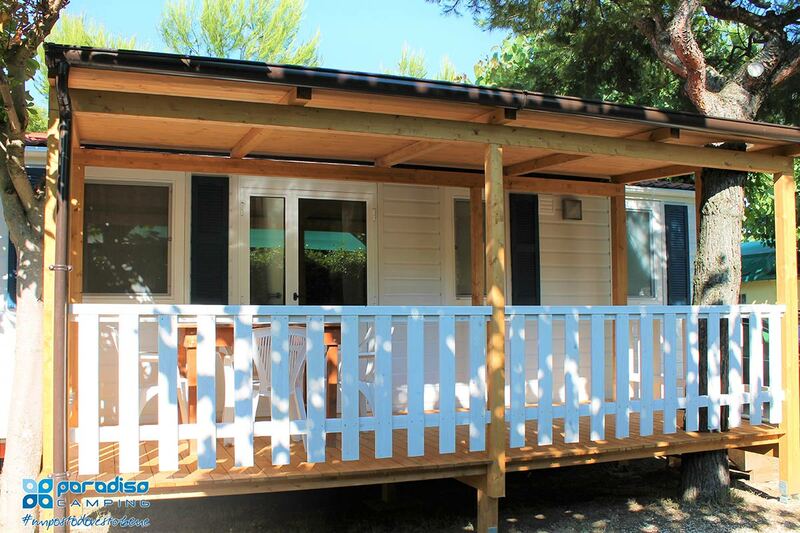 It is equipped with a wide outdoor veranda with table and chairs. 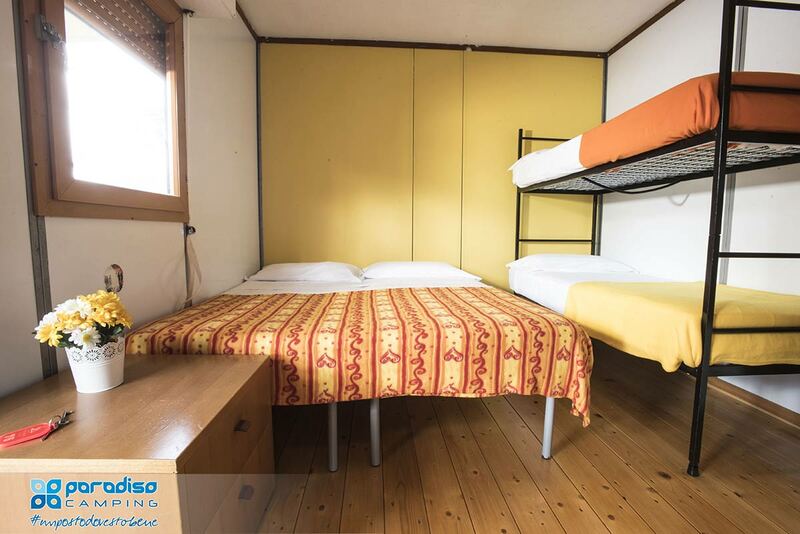 Il Bungalow Trilocale Tipo C è composto da una camera matrimoniale ed una cameretta con letto a castello e letto singolo, un soggiorno con divanetto ed angolo cottura, servizio wc con doccia (complessivamente 25mq). 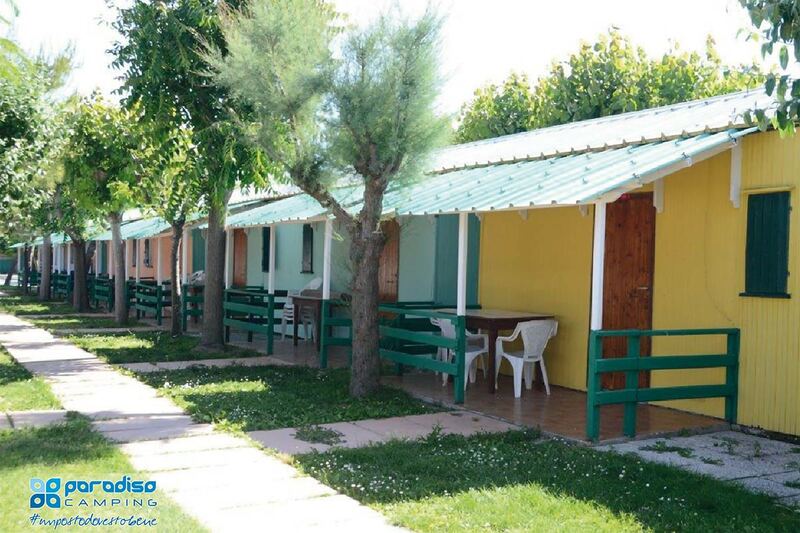 E' dotato all'esterno di un'ampia veranda attrezzata con tavolo e sedie. 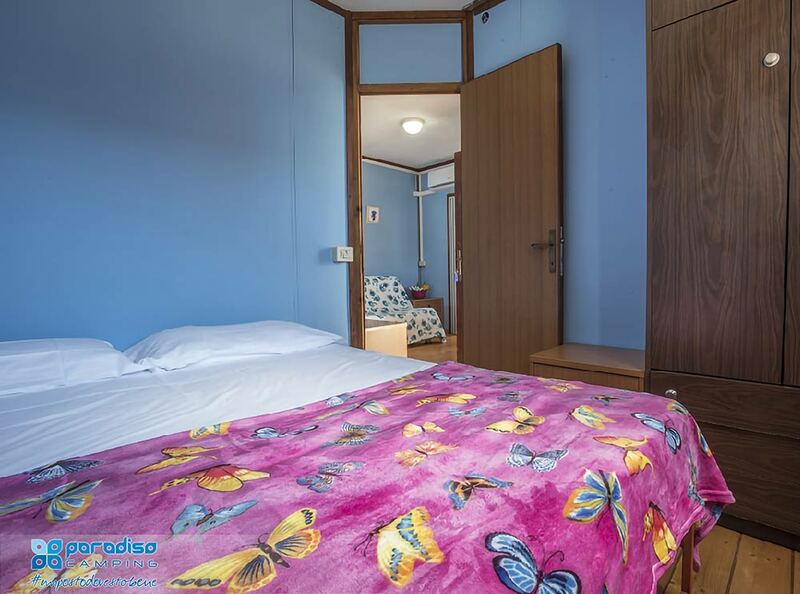 Il Bungalow Trilocale Tipo C* è composto da una camera matrimoniale ed una cameretta con letto a castello e letto singolo, un soggiorno con divanetto ed angolo cottura, servizio wc con doccia, possibilità aria condizionata (complessivamente 25mq). 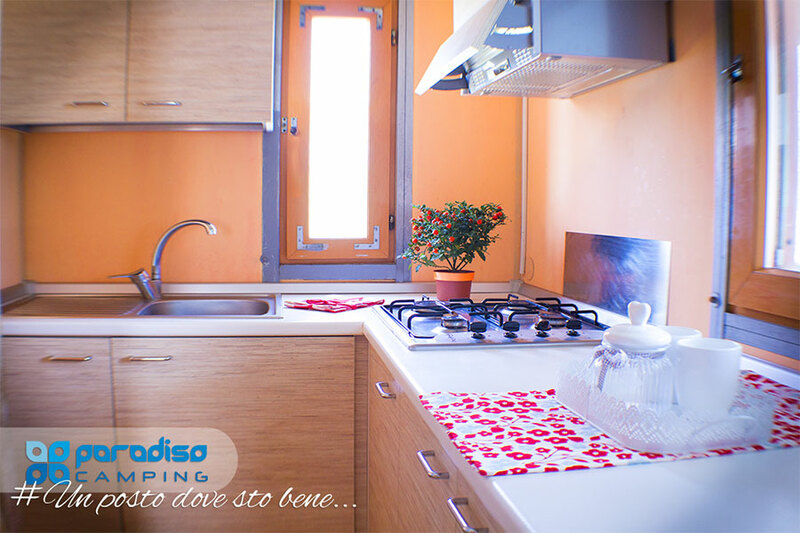 E' dotato all'esterno di un'ampia veranda attrezzata con tavolo e sedie. 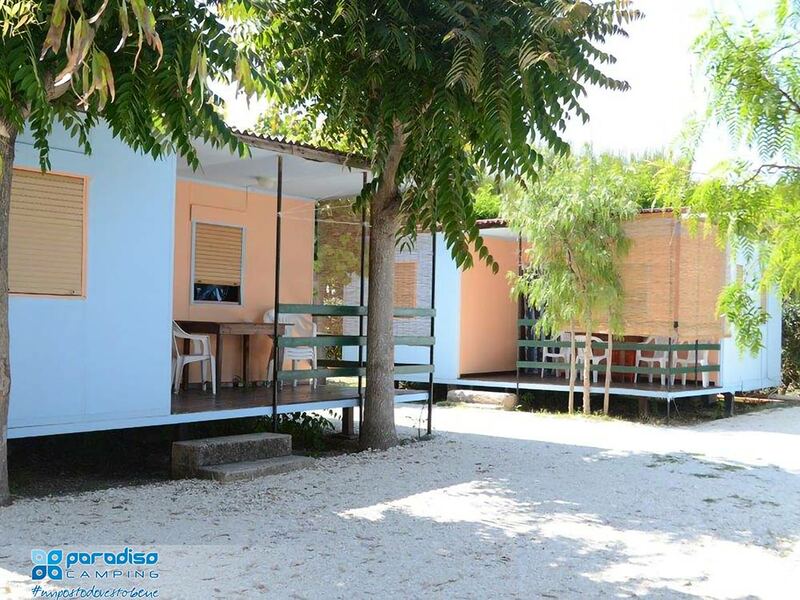 TYPE C SEA Three-roomed bungalow type C for 5 people "first row"
The Three-roomed bungalow Type C in first row in front of the sea is composed of a double bedroom and a small room with a single bed and a bunk bed, a living room with sofa and new kitchenette, bathroom with shower (total 25sqm). 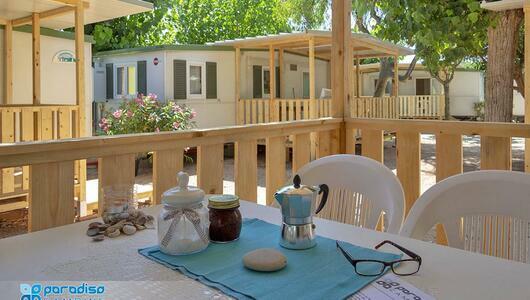 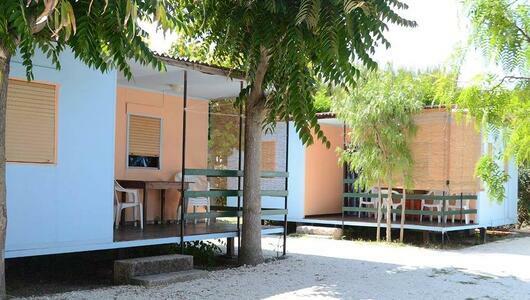 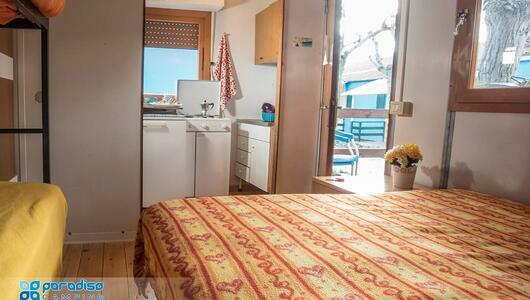 It is equipped with a wide outdoor sea view veranda with table and chairs. 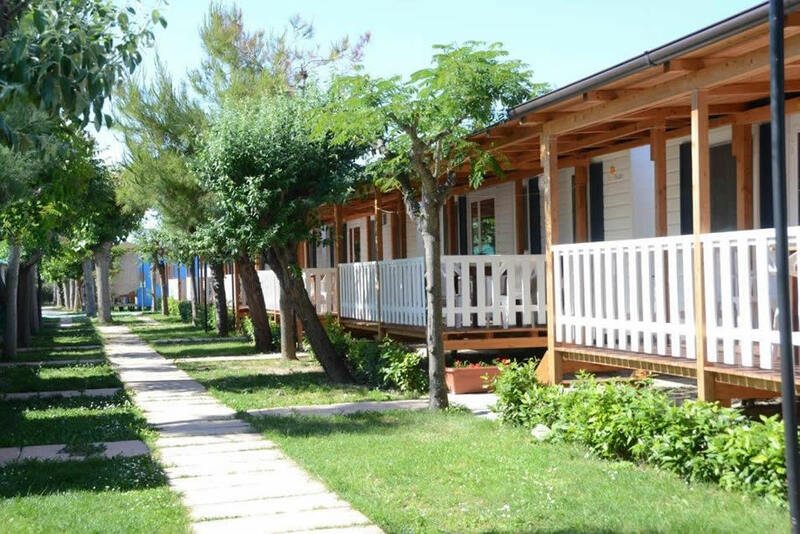 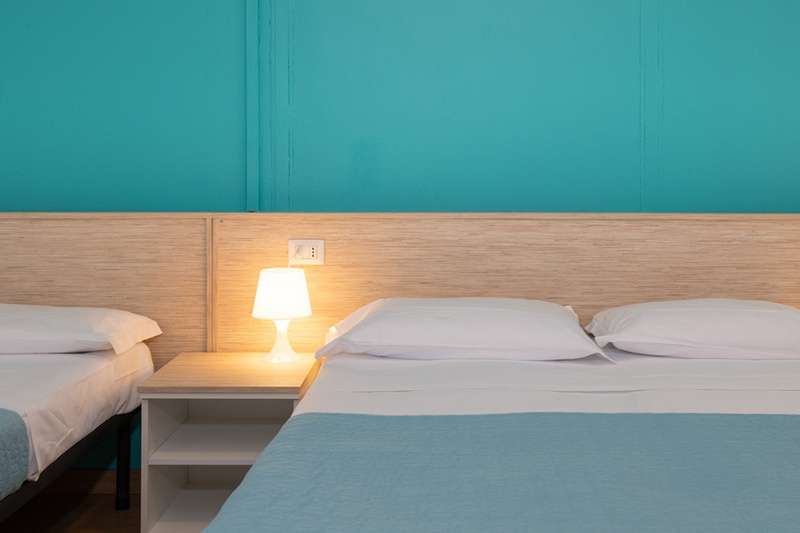 Wide solution for families: the three-roomed Bungalow Type D is composed of a comfortable room with king-size bed and a single bed, a second bedroom with a double bed and a bunk bed, kitchen, bathroom with toilet and shower (total 50sqm). 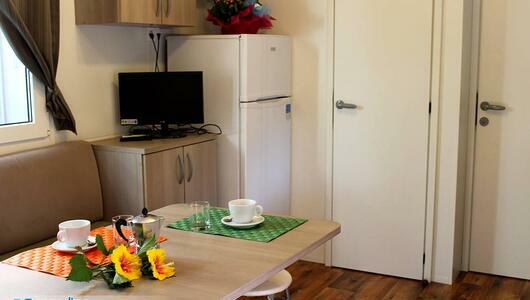 It is equipped with a wide outdoor veranda with table and chairs. 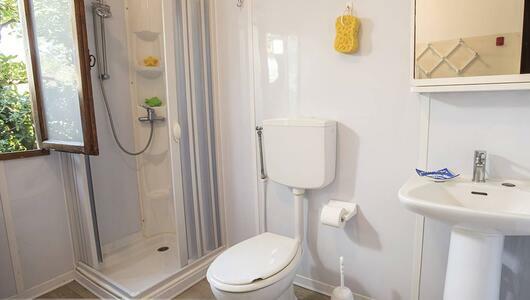 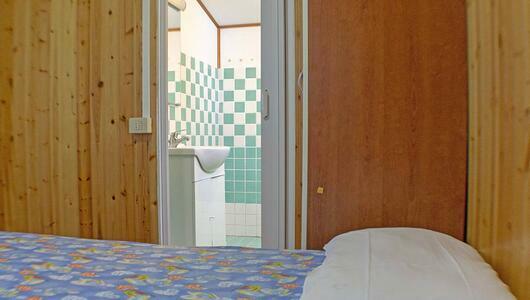 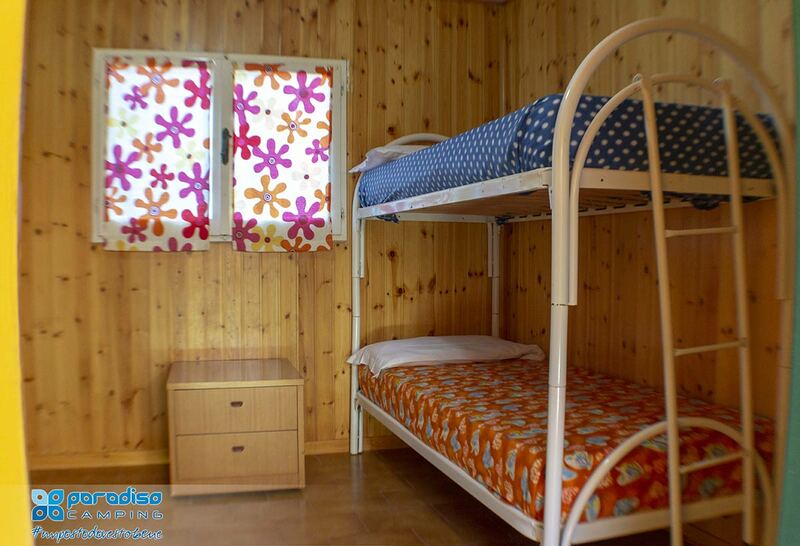 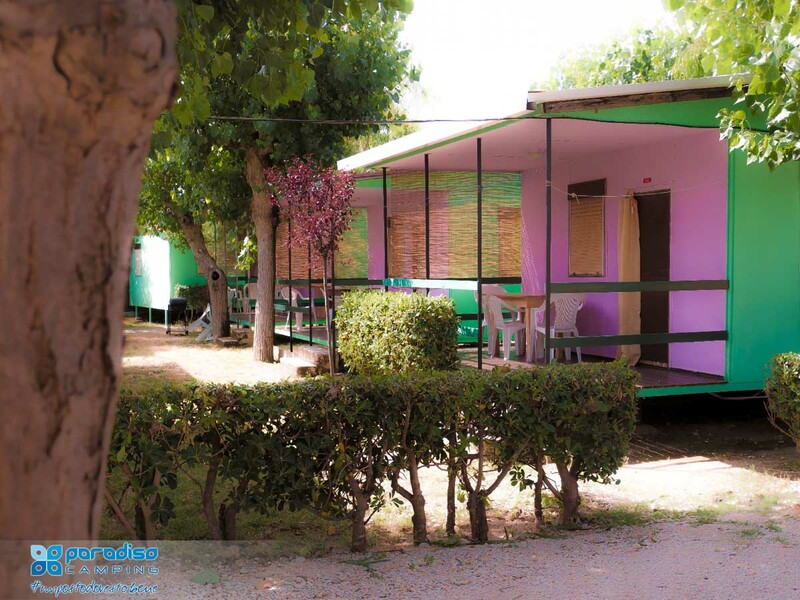 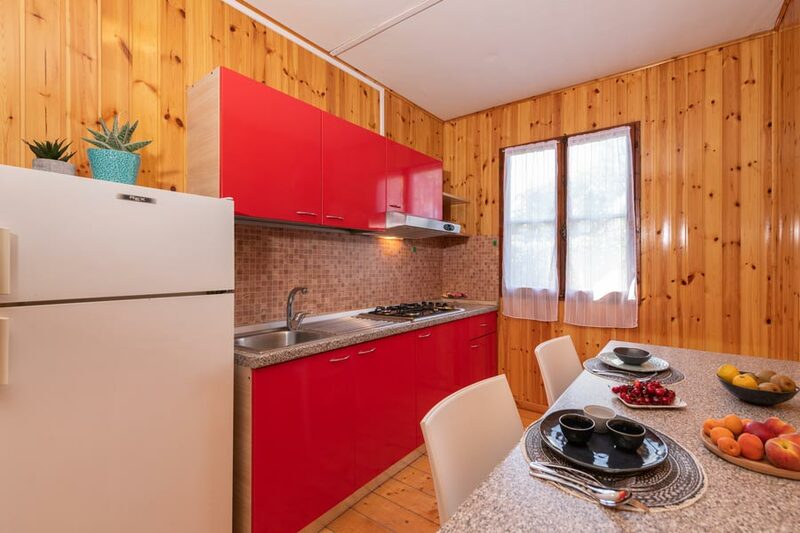 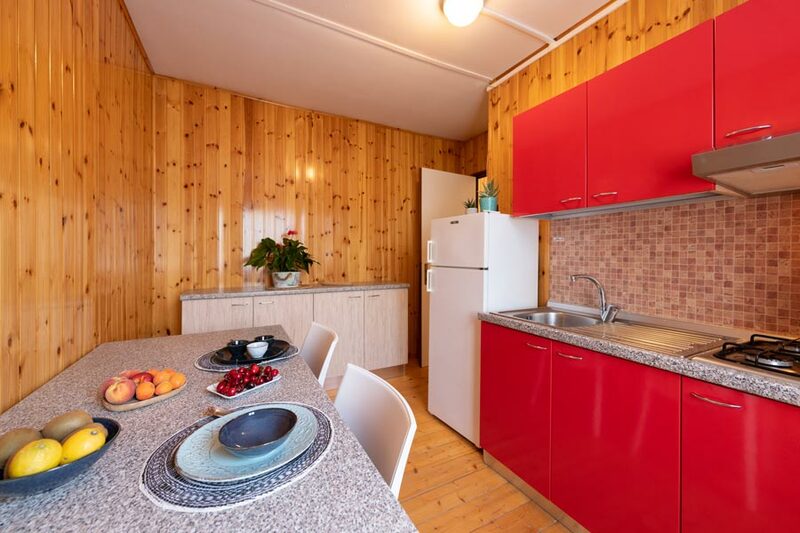 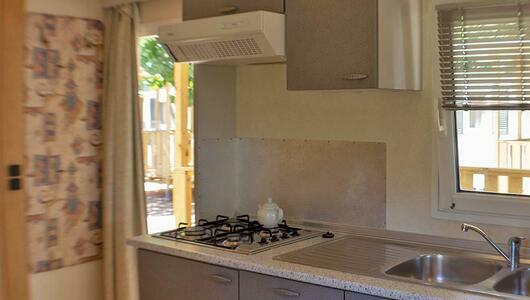 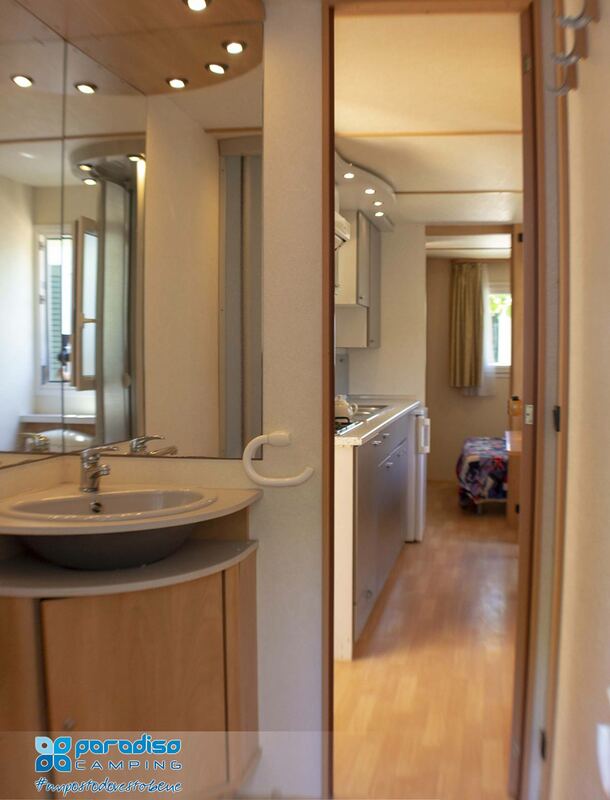 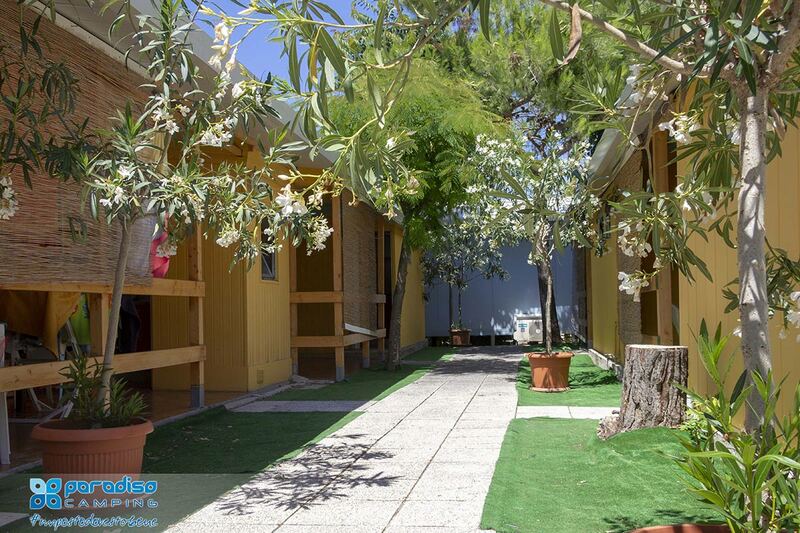 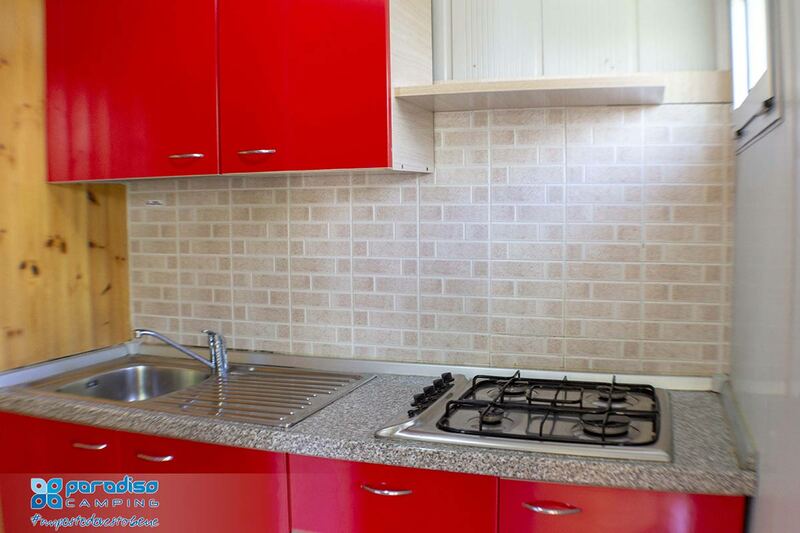 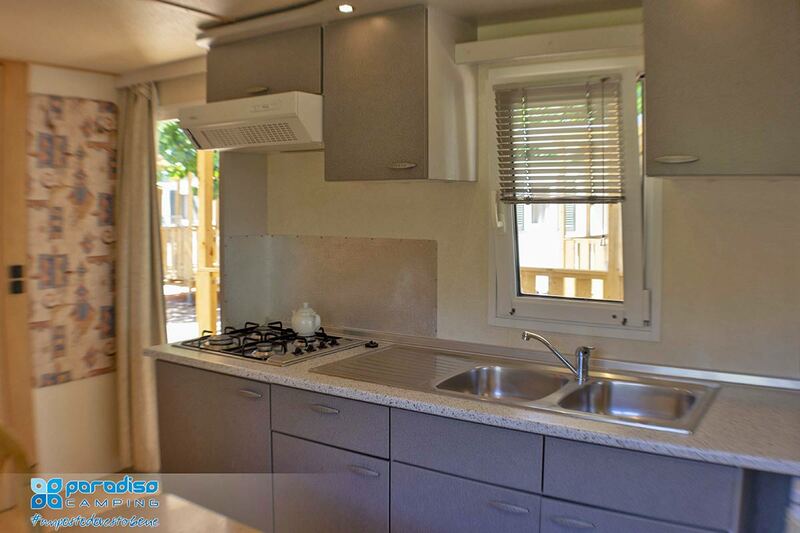 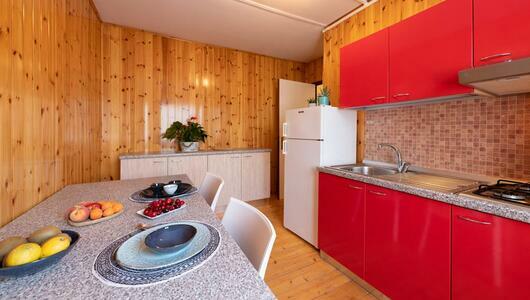 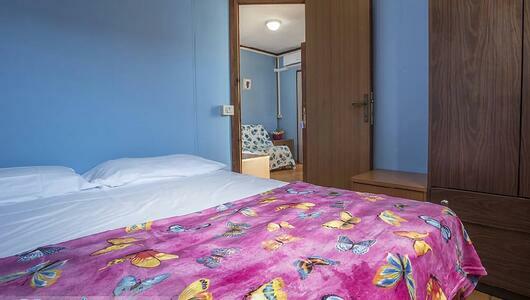 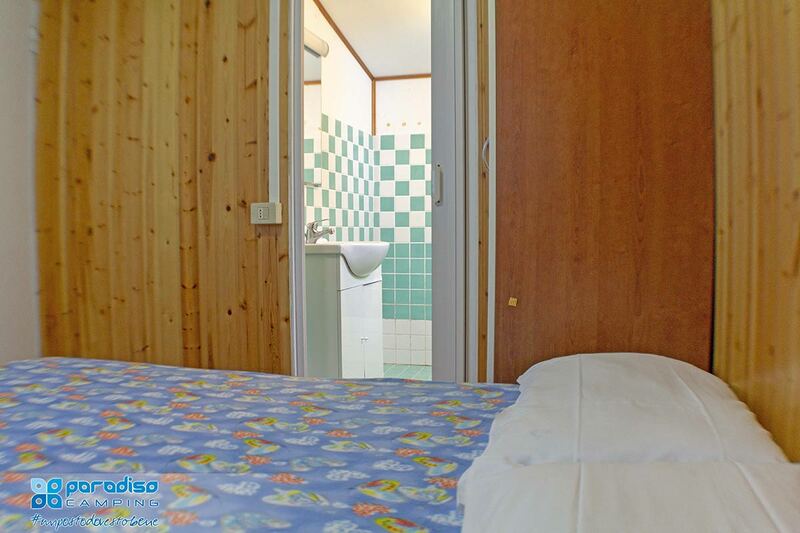 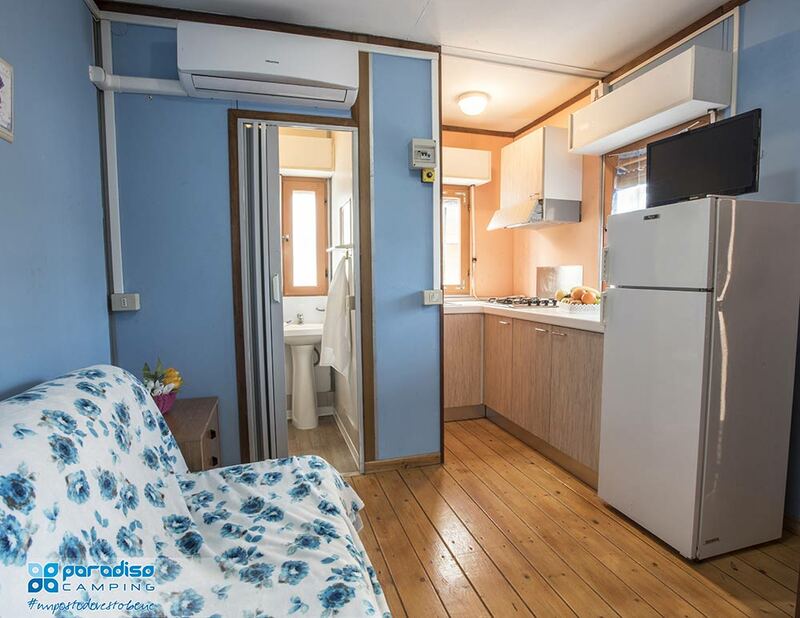 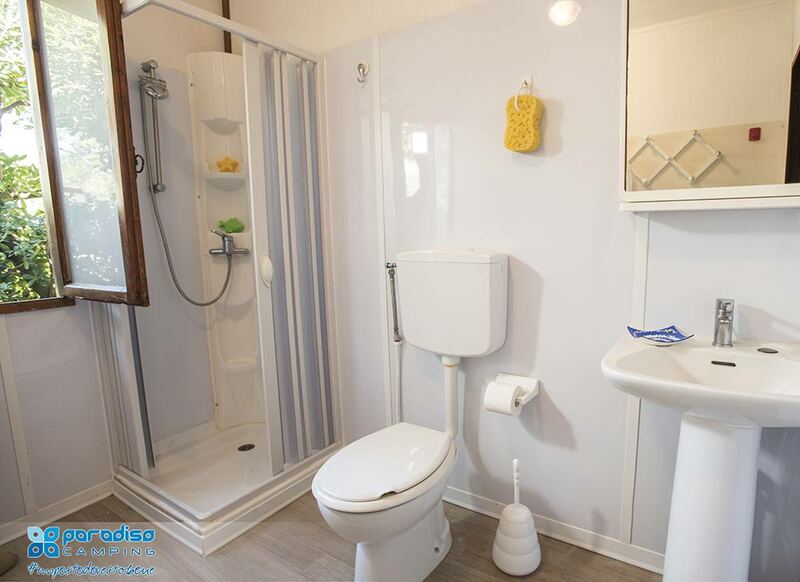 The Mobile Home is a solution with all the comforts: double bedroom, bedroom with two single beds (in some solutions one further bed), living-dining room with table and sofa, fully equipped kitchenette, bathroom with toilet and shower, air conditioning. 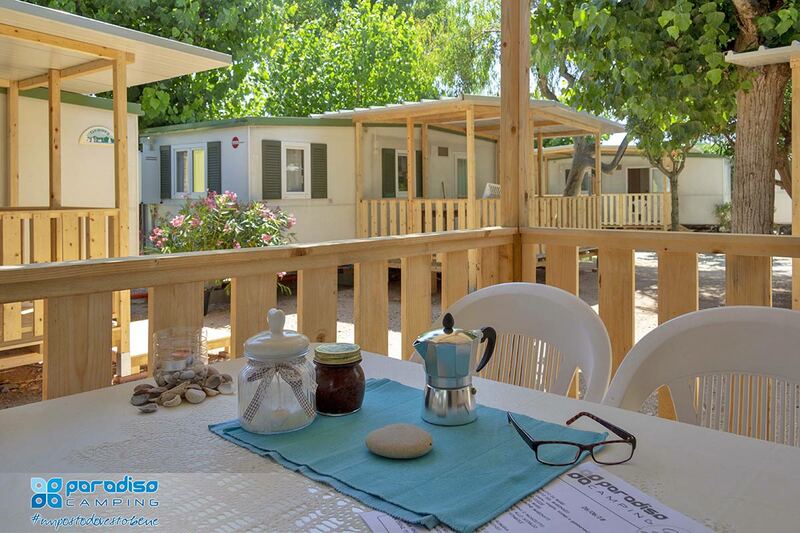 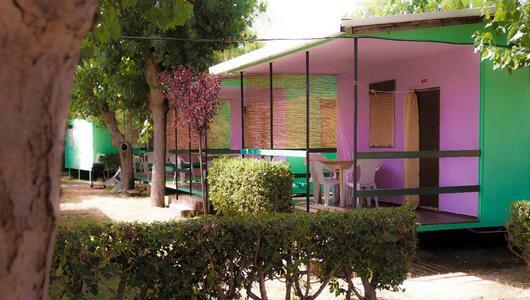 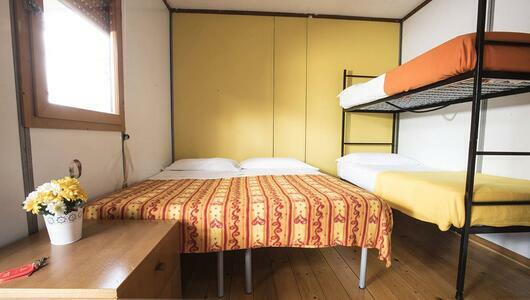 It is equipped with a wide outdoor veranda with table and chairs.